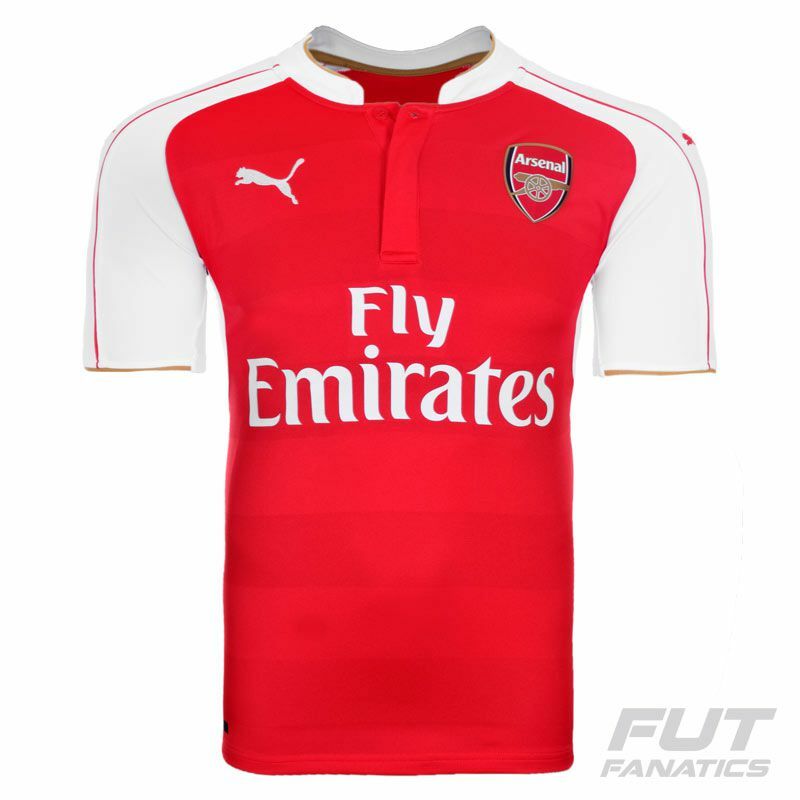 The holder uniform for 2016 of Arsenal can be customized with name and number that you like on the back! 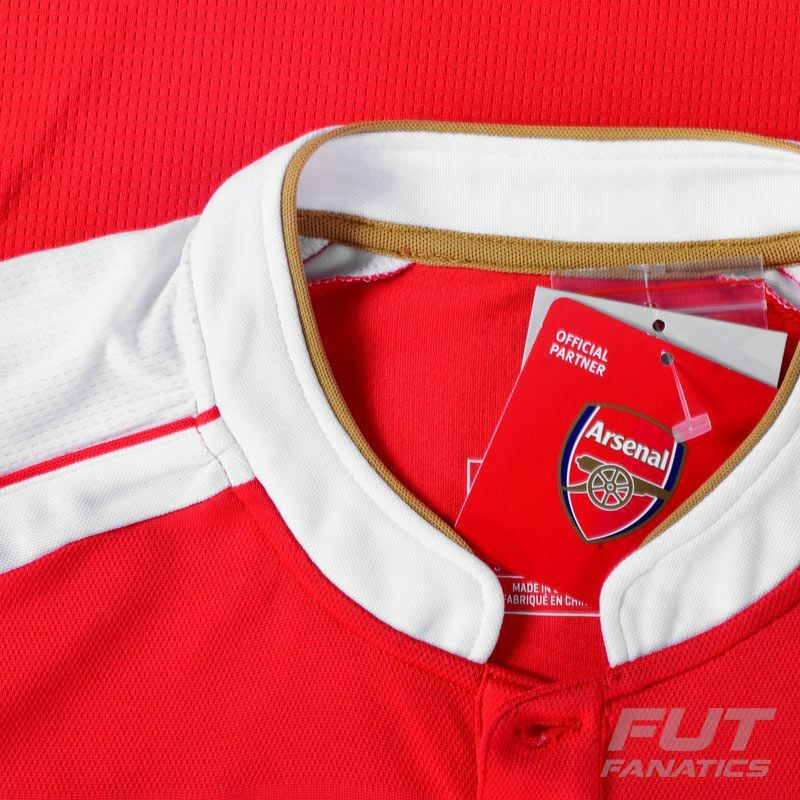 An amazing original jersey that is the ideal choice for all the Gunners fans, that you can use when cheering or any other activity. More info. 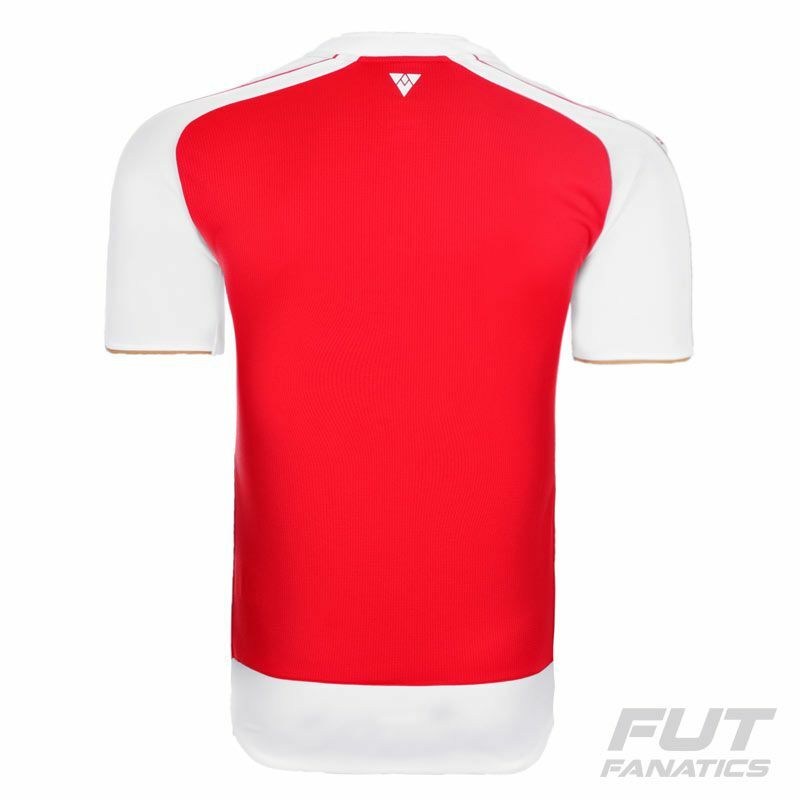 The holder uniform for 2016 of Arsenal can be customized with name and number that you like on the back! An amazing original jersey that is the ideal choice for all the Gunners fans, that you can use when cheering or any other activity. The uniform has Dry-Cell technology, which contains functional materials that keeps the sweat away from the skin and keeps you dry and comfortable. The piece has red as the predominant color with white and golden details. It presents mandarin collar with buttoning and a modern design that follows the evolution of the team. 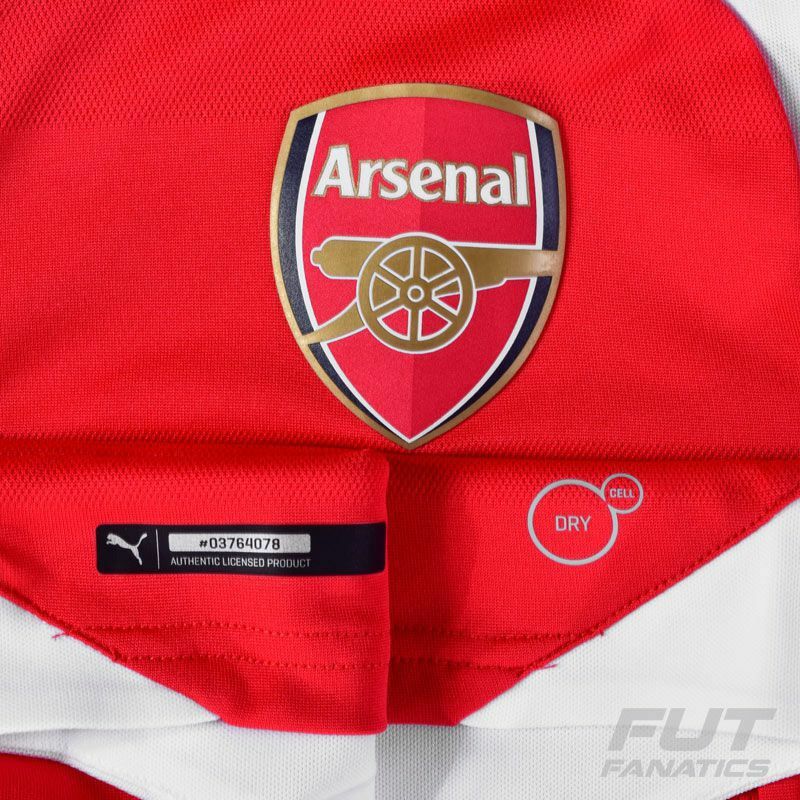 The team badge illustrates the left side of the chest and Puma logo is on the opposite side, complementig the piece.